An expected rise in demand for organic fertilizers has sparked many companies to invest more in production. 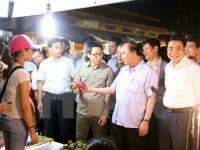 The Binh Dien II Fertilizer Joint Stock Company opened a plant in March with a capacity to produce 100,000 tonnes a year in southern Long An province, which in its first phase produces organic and microbial fertilizers and high-grade NPK fertilizers. The company plans to invest 200 billion VND (US$8.77 million) to annually produce 40,000-50,000 tonnes of nano organic fertilizer, a new generation of fertilizers, from next year. Nguyen Kim Thoa, general director of Con Co Vang Group, said her company already supplies organic fertilisers to the market and plans to dedicate an 11ha plant to produce them. Many companies have shifted to organic products to meet demand for safe agricultural produce. According to the Ministry of Agriculture and Rural Development, as of the end of last year, 180 establishments had been licensed to produce 2.5 million tonnes of organic fertilizers a year, or 8.5 percent of total output. Meanwhile, statistics show import of organic fertilizers rocketing in recent years. Last year, 220,000 tonnes were imported, double the 2016 volume. The ministry said Vietnam has great potential in organic fertiliser production since annually around 60-70 million tonnes of agricultural by-products and 20 million of seafood by-products are produced. The by-products can be used as raw materials for making organic fertilizers, but they have not been fully exploited for a long time, it said. This will also help reduce pollution and improve soil fertility and farm produce quality, it said. Nguyen Dinh Hac Thuy of the Vietnam Fertiliser Association said long-term use of chemical fertilizers worsens the quality of not only soil but also crops themselves. 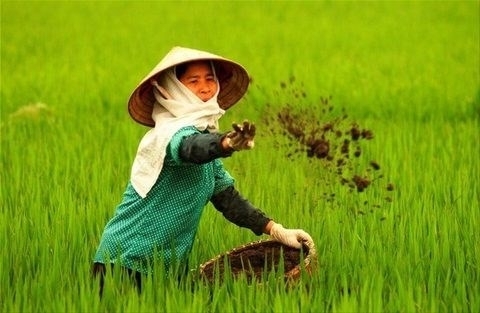 Many countries have shifted to organic agriculture to ensure sustainability, food safety and consumers’ health, and it is time to increase the production and use of organic fertilisers to foster organic farming in Vietnam, he said. But according to experts, promoting their use remains difficult since farmers still prefer the quick impact of chemical products. Minister of Agriculture and Rural Development Nguyen Xuan Cuong said last year the Government issued Decree No 108/2017/ND-CP on fertilizer management with policies to boost organic fertilizer production. Using organic fertilizers is an inevitable trend and it is time to focus on solutions from the Government and enterprises to encourage farmers to use them, he said. A growing number of enterprises who collaborate with farmers have switched to the use of organic fertilizers since demand for such produce is increasing.